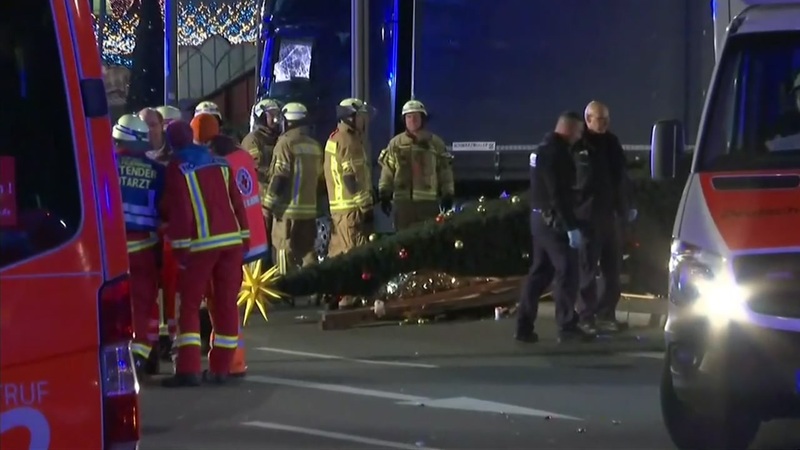 Emergency crews work to investigate after a truck drove into a crowded Christmas market in Berlin. BERLIN -- German prosecutors say an acquaintance of suspected Berlin Christmas market attacker Anis Amri has been arrested in a separate case. That led prosecutors to believe that the man may have known about the attack. But Koehler said that they don't currently have enough evidence to seek an arrest warrant. Koehler said the man's accommodation was searched Tuesday and he's under investigation on suspicion of participating in plans for the attack. She said Wednesday he was arrested in a separate case run by local prosecutors, but would not give details.